Here are six photographs taken from the Topeka Boulevard bridge looking west at the Chicago, Rock Island & Pacific Railroad bridge. 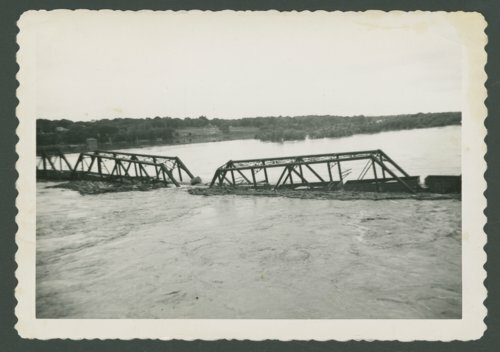 The photographs show one of the piers of the bridge failing and causing three spans to collapse into the Kansas River. The photographs were taken during the flood of 1951.